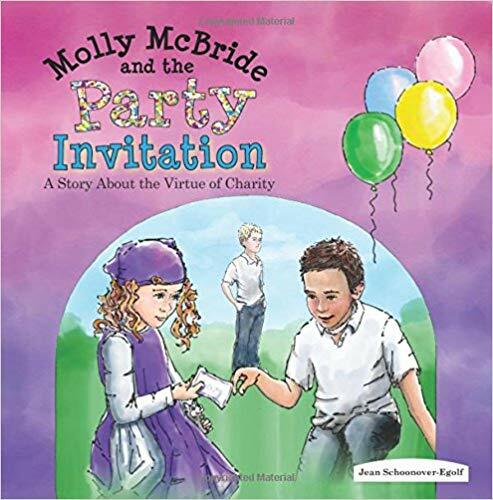 Molly McBride and the Party Invitation continues the story of Molly McBride, a young girl in kindergarten who likes dressing in purple and aspires to be a nun someday. Molly McBride is planning her birthday party, and everyone is invited. Unfortunately, “everyone” also includes Sam, the class bully. Molly doesn’t understand why she should be charitable towards a guy like Sam, who cuts in line and makes fun of Molly and her best friend Dominic. She and Dominic decide to hide the invitation. However, the action weighs on Molly’s conscience. It weighs on her conscience so much that it spoils her excitement for her own birthday party. She doesn’t even want to talk about it with her mom because thinking about what she planned made her stomach go “flippity-floppity.” The guilt and shame take the joy out of everything she does. Thanks to Father Matt and a little Gospel story, however, Molly and Dominic learn what it means to love one’s enemies and they both realize that what they did was wrong. After getting a reprimanding from her mother, Molly and her family visit Sam and his family to personally deliver the invitation. The ending is a big sigh of relief because Sam turns out to be not so bad after all. I just hope that Molly’s act of charity inspires him to reform his behavior. I really liked the illustrations in the story as they show a little subplot that goes beyond what Molly sees. One illustration shows Dominic’s mom finding the invitation for Sam in Dominic’s backpack and calls Mrs. McBride. Mrs. McBride pretends not to know and asks about Sam to try and get Molly to fess up. It’s similar to how God works in our lives when we do something wrong. Instead of reprimanding us right away, He gives us a chance to realize what we did wrong. 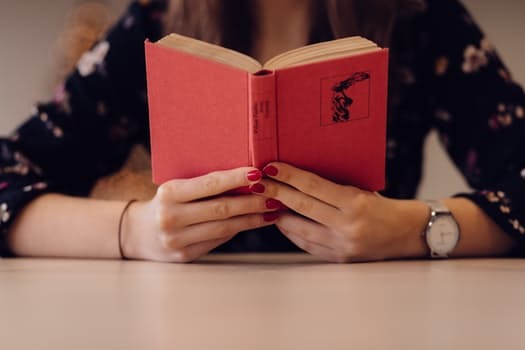 My one nitpick with this story is that I think the Gospel story of Zaccheus would have made for a better example, since it also involves a party and has the added bonus of Zaccheus promising to be a better person. Molly’s story is a great way to show how charity goes beyond sharing toys or giving food to the homeless, after all. It also means showing charity to people who may not be nice. I recommend this story to young children and families with young children. This book is a good way to show how to deal with young bullies.